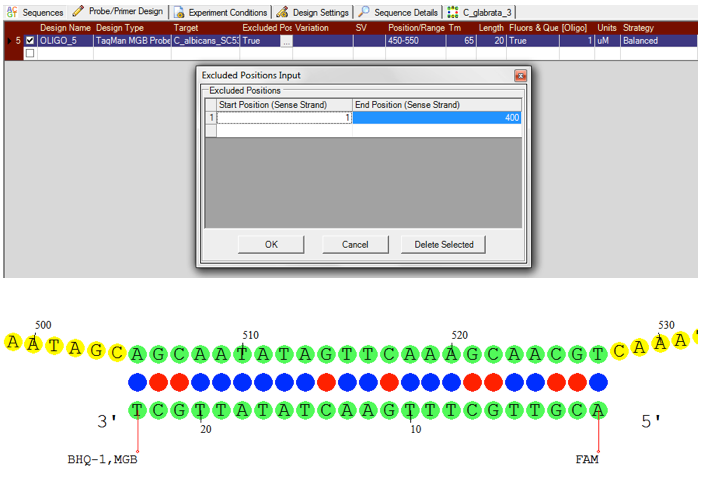 Visual OMP can design both Taqman Probes and Taqman Minor Groove Binder Probes, depending on your application while the simulation engine accounts for the thermodynamic contributions of the available fluorophore and quencher sets and the contribution of the minor groove binder. Furthermore, it is possible to exclude or selectively target various target regions during design. DNA Software’s extensive fluorophore and quencher library has been experimentally validated and tested for the most accurate simulations possible.